Visually text is correct and show the correct domain of miles-and-more.com. 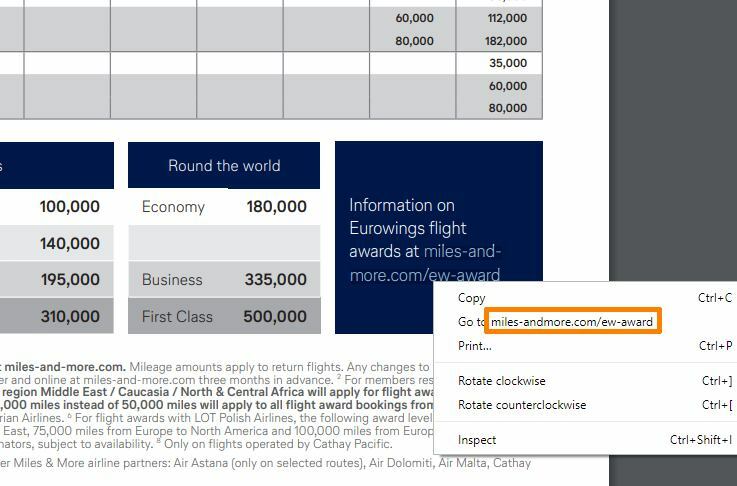 But, there's some fuckup with text encoding, so the actual text -- that you select with your mouse -- actually contains miles-andmore.com domain, which is a fake one. Next article:The worst e-mail client ever!